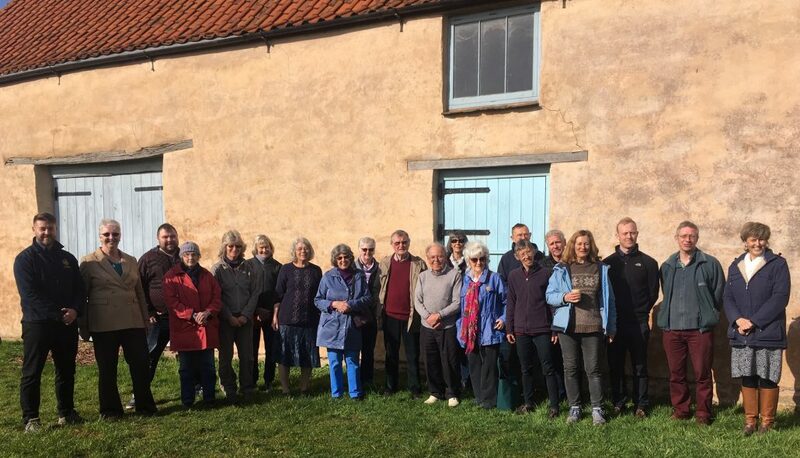 Winterbourne Medieval Barn Trust and South Gloucestershire Council have been working together to transform the Winterbourne Medieval Barn site into a heritage hub for the local community. This £1.7 million project is supported by an award from The National Lottery Heritage Fund of £936,600. 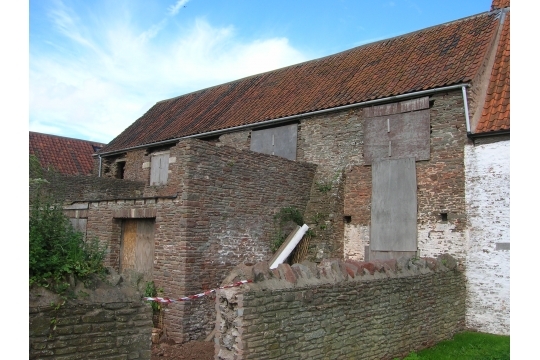 Work to conserve, redevelop and find new uses for the magnificent Grade II* listed 14th century Winterbourne Medieval Barn (Court Farm Barn) will begin on Monday 18 March with work anticipated to last one year. Corbel Conservation Ltd have been appointed as the main contractor for the build. Although this work is set to start, the Trust are still fundraising the final amounts to support the project including a Raise the Roof campaign. Our volunteer team meeting the site team from Corbel Conservation. During this time, conservation work will be carried out on the main barn to preserve the timbers (which date back to 1342) and supporting infrastructure for years to come. There will also be work carried out on its two ranges – the South Barn, and the dilapidated West Barn which will see the installation of new facilities including a kitchen, office, and historical interpretation gallery, celebrating the history and heritage of the site and its environment. The existing Victorian Cow Byres will be transformed and brought back into use for local micro-businesses. Once completed, the units will be let to small ventures including artisan trades. Access to the site is restricted throughout the year but members of the public will be able to participate in ‘Hard Hat Days’ during significant parts of the works programme. The Cartshed, which opened after renovation in May 2018 will remain open to the public for use throughout the year for various events, lectures, and workshops. See here for the latest events. In March 2018 Winterbourne Medieval Barn was awarded £936,600 from the Heritage Lottery Fund for a major refurbishment project that will secure the future of this iconic building for generations to come. The £1.76 million project will conserve and refurbish the historic barn and its adjacent buildings, enabling us to realise the full potential of this iconic building as a true community asset. Winterbourne Medieval Barn Trust (WMBT) is delighted with the funding provided by the Heritage Lottery Fund, as well as by other major funders including South Gloucestershire Council, The Garfield Weston Foundation, The Architectural Heritage Fund, The Country Houses Foundation and Hobson’s Charitable Trust. Smaller grants have also been received from a further 11 organisations and private donors, and a Crowdfunding campaign in 2017 raised £10,900 towards the project. Work is now continuing to raise the remaining money needed to ensure the project is fully funded. Anyone interested in donating to the project or joining the volunteering team should contact us by emailing suep@winterbournebarn.org.uk or clicking the Support Us button. 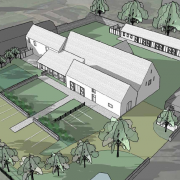 When all the required funding has been raised, building work is planned to start early in 2019, with the redeveloped site expected to open the following year. 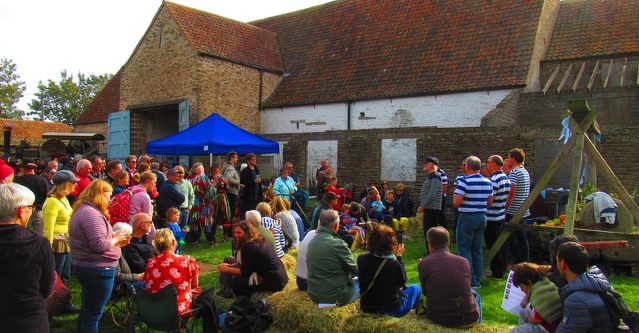 Activities and events will be run both at the Barn and in the community whilst the building work is taking place, to enable visitors to continue to learn about the history of the barn and its surrounding environment as well as stay in touch with the project’s progress. Our vision for Winterbourne Medieval Barn is to create a multi-purpose rural heritage venue which will celebrate the history and heritage of this extraordinary site and its environment, making them accessible to people of all ages. Past and present will come together through a range of memorable and diverse experiences and opportunities to participate. The refurbished Barn will become a focal point of the community, offering a range of activities designed to appeal to everyone. We are proposing to run learning sessions for schools; family-focused history themed events and children’s activity sessions; rural craft workshops; music and theatre performances. The Cart Shed has recently been refurbished to create a Reception and Education Centre with the generous support of the European Agricultural Fund for Rural Development.